Christmas is all about the food, whether it’s the homemade mince pies, roast veg or copious amounts of sweet treats! It’s everywhere and we love it! We have been on the look-out for some top notch plant-based Christmas ideas to please vegans, vegetarians and non-veggies alike! 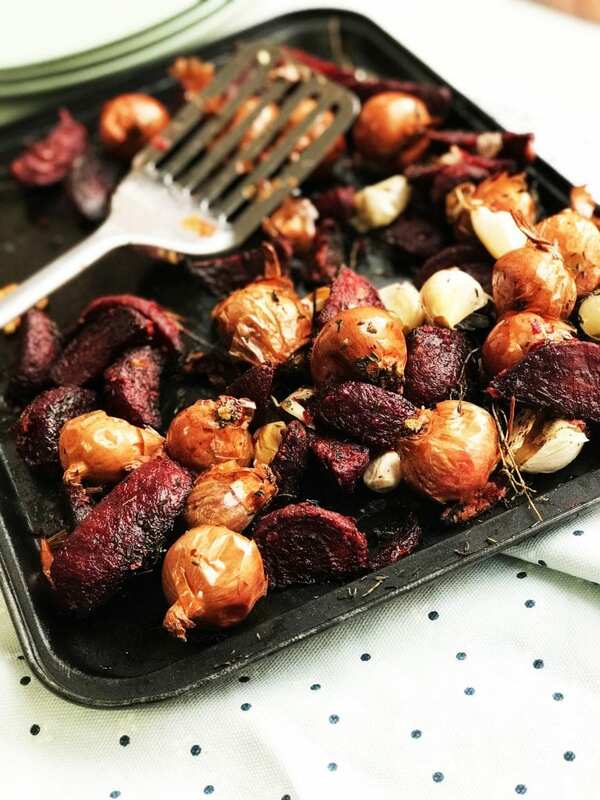 We have collated some of our favourite recipes into one list and we are now officially ready for the ultimate plant-based Christmas feast! This little vegan, Miss Holly Jade, made the most delicious, fluffy and not to mention flavourful, focaccia. 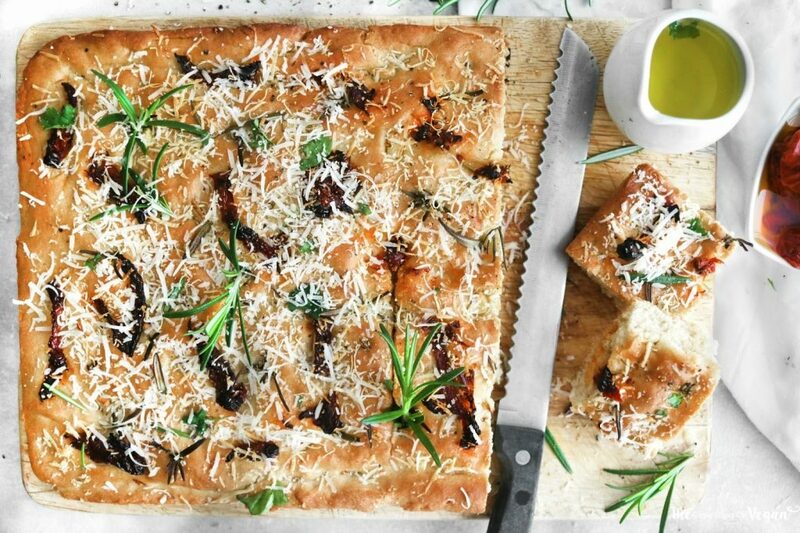 With sundried tomatoes, rosemary, and vegan parmesan cheese (a must), this dish is great option to kickstart any holiday meal! 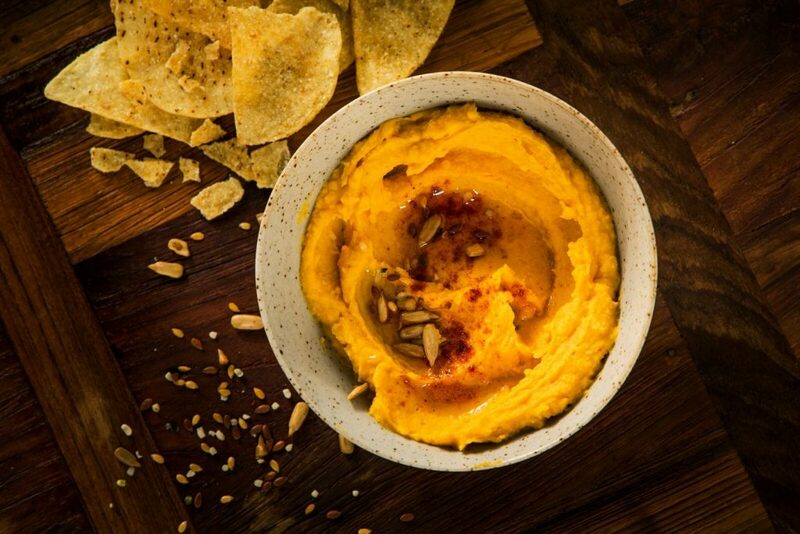 To compliment the focaccia, serve STRONG ROOTS Sweet Potato and Smoked Paprika Hummus for the perfect teaser before your main. With a little bit of spice and everything nice – give it a go, it will not disappoint! 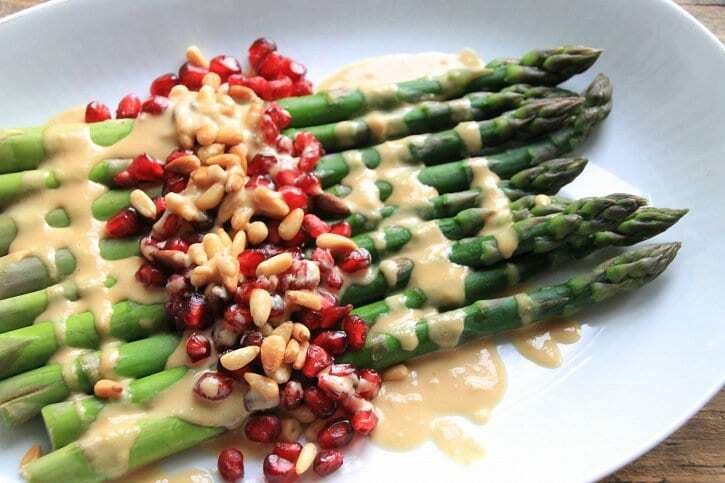 This nutritious and delicious Asparagus Salad from blogger Naturally Sassy is a super quick and easy plant-based starter! When you’re smack-dab in the middle of the Christmas madness, the last thing you need on your to-do list is a meal that takes hours to put together. This salad consists of only few ingredients but has infinite amounts flavour. 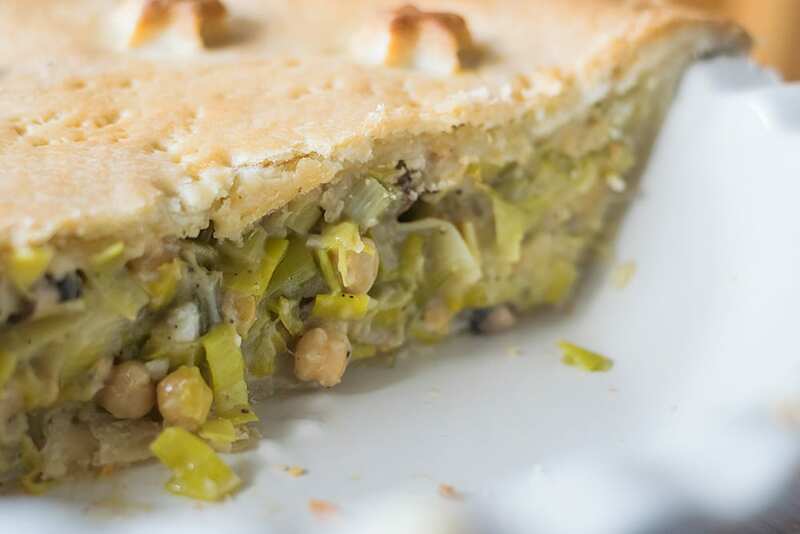 Chickpea Leek Mushroom pie – yes please! With simple but tasty veggies baked in between heavenly pastry and a creamy sauce, this number will satisfy all of your cravings at once! One of our favourite fellow vegan brands, Oatly, created this outstanding number. 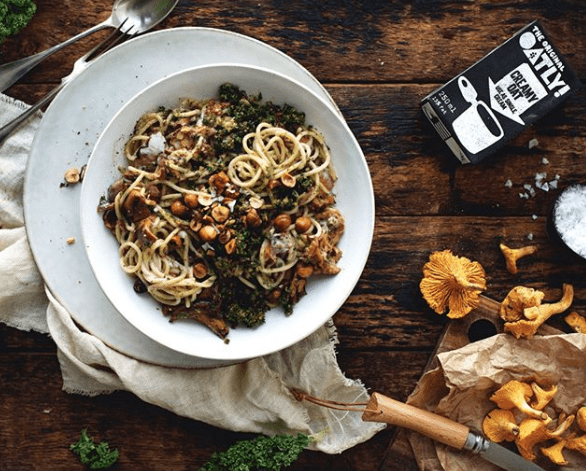 Their ‘Winter Pasta with Kale Pesto & Creamy Mushrooms’ is truly a great option for a cozy night in with your significant other or even served to a party of 10. With Christmas being the best but craziest time of year, sometimes all you need is something quick and delicious! This STRONG ROOTS Epic Vegetable Feast is delicious, fuss-free and a burst of colour. It is a perfect go-to for those chilly evenings! We’ve got your plant-based Christmas breakfast sorted! 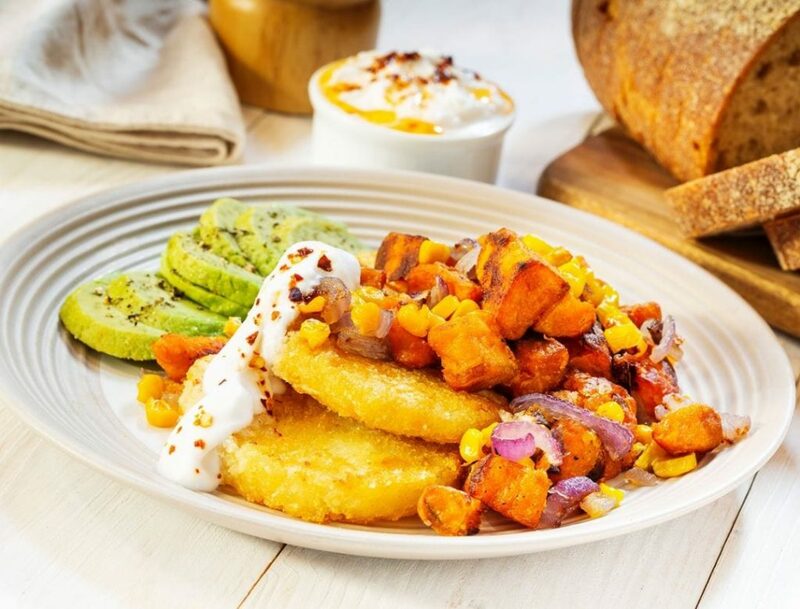 This mix of our Cauliflower Hash Browns, Garlic Roasted Sweet Potato, onion and sweetcorn, is such a simple dish. It is the perfect blend of superfood goodness and indulgence! Want to knock everybody’s Christmas socks off? 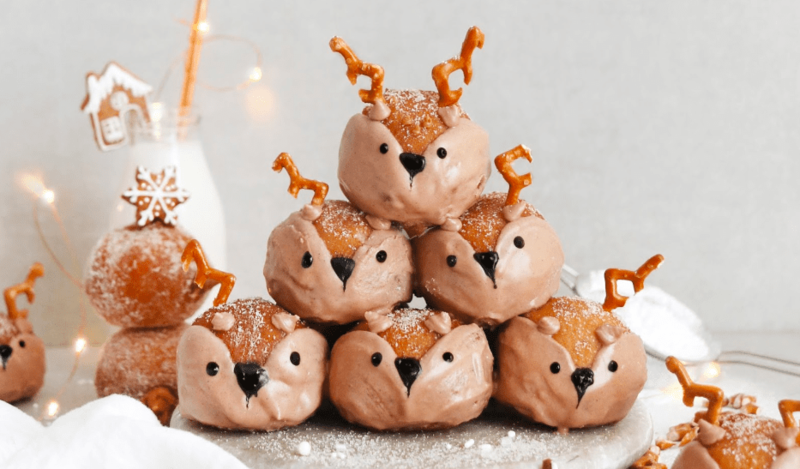 Try these Deer Biscoff Doughnut Holes by one of our favourite gals, Holly Jade. Easy, delicious and too cute not to love! Why leave Santa milk and cookies when you can leave him these mouth-watering almond bars of joy! 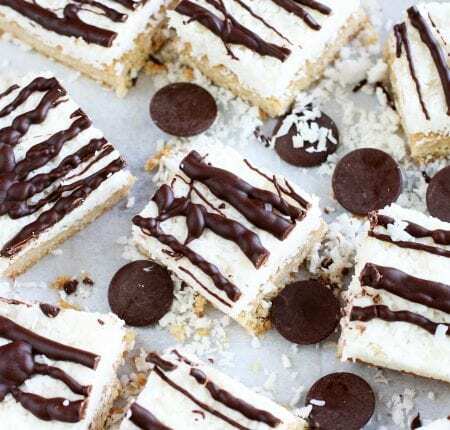 Coconut, almonds, chocolate, maple syrup and a sweet tooth is all you need for this delightful, devilishly-delicious recipe. It’s Christmas – treat yourself (and Santa ;)! Say hello to a perfect plant-based quick fix! 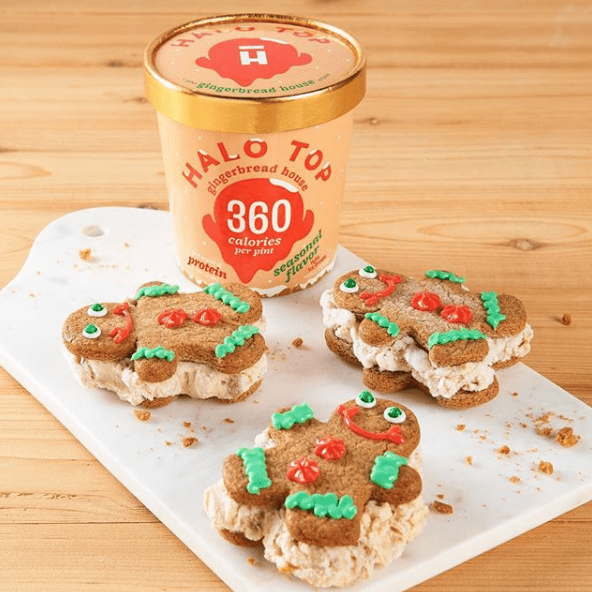 Scoop some of Halo Top’s limited seasonal ice cream and stick it in between your homemade vegan gingerbread cookies. So tasty and festive, you can’t go wrong!